I am writing this post to clear up the mysteries of high dollar bike riding. Does the cost of the bike mean a better ride? Well, that’s like saying back in the day when some jeans were $80.00 and you could get a pair for $15.00. What did you get for that extra $65.00 you spent? Kind of make you go hum! It all boils down to what level of riding you want to your analysis on. Right now I want to stay focused on recreational riding. What Brand Of Bike Is Better? 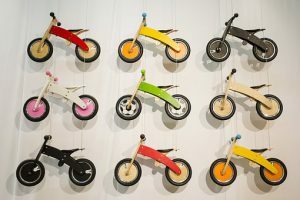 Actually, the question is what makes a bike different from the other? They all have a frame and all the accessories are added to it. What I mean by that is the handlebars, crankshaft, seat, brakes, gears, and pedals. There isn’t really much difference except for who manufactured what. So you can actually put together a bike with whatever brand of equipment you choose to fill your desires with the type of ride you want. I have always said you don’t have to spend an arm and a leg to get a good bike to ride. It is true that some parts are of a better quality than others but is the extra money really offering you something special? For a recreational rider, things are not as serious as it would be for a professional race rider. So, I’m aiming to unlock the mysteries of high dollar bikes. High Dollar Compared To Low Dollar Bike – Whats The Difference? The truth is that a high dollar bike really isn’t going to make up for the extra cost towards your riding pleasure. Highly skilled professional riders may require all the cycle hype that goes into high dollar bikes. But they also are sponsored and promoting these products as well. But for the recreational rider, he or she can get the same pleasure in a lower cost bicycle as well. If you want to upgrade things on your bike such as the crank, cassette & pedals you can. But it still won’t come close to the cost of some of these high dollar bikes which when done you will have pretty much the same quality for much less. If you get involved in the equipment side of bike riding, you will be drawn into spending more than is necessary to do some recreational riding. Much like in the example of the jeans of old. If you don’t remember just think about the cost of Calvin Klein & Sergio Valente compared to some Levi jeans. As a recreational rider are concerned with fun, comfort & pleasure. Neither requires you to go out and spend a fortune to get it. With the video in this post, professional Martin Horn is going to deliver a very professional opinion on the myths of high dollar bikes in the recreational community. Thank you for visiting and I hope this gave you some useful information on your biking venture. Please leave comments or questions and I will respond back to you on your thoughts. I personally love bikes and even as an adult I still use bikes as my means of transportation not only for fun. I personally find bikes also a measured way to do sport because someone who rides a bike constantly is always feeding with robust health. Me too, I use my bike to get to work Monday through Friday and ride for fun on weekends occasionally. And it really does have me hyped up when I use to have less energy it seems. I am an old basketball player so it fills that void of doing something athletically that my older body can handle. I hope you continue to ride. 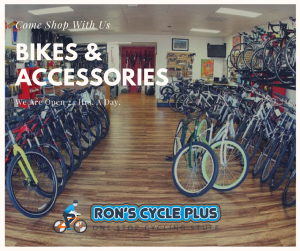 feel free to stop in and let us know about any ventures your bike takes you on. Thanks for stopping in. I agree with you, many times the usefullness of some product dosent justify its high price and the ratio between the price difference and the product prformence difference isn’t proporsional. That’s how I feel to Alex. If I were a professional racer, I would probably not feel this way. But any of us who ride for the enjoyment can get by without the high-end bikes which basically has nothing different from any other bike except the type of parts that are on that frame. Those parts can be put on any a good frame for way less. Don’t get me wrong but there are different levels of bike riders. But for the recreational rider, there is other options to obtain a great riding machine without the high cost. Thanks, Alex for visiting. Actually, I care quite a lot what my bike looks like and what it is capable of, when I’m riding with my friends. I have 600 euros worth of Scott suburban. it has 24 gears which are good for uphill or downhill riding. Exactly, it just depends on how you are utilizing your bike in proportion to the level of bike you ride. But at the same time, you don’t have to spend $11,000 to when you can spend less and upgrade parts and have the same thing a $11,000 bike has with less money. But everybody has their preferences and I just like to point out other options for those who are not to in depth with their equipment. Thanks for visiting and continue to stop by and share your biking experiences anytime. Riding a bicycle is very enjoyable. I always wandered if I was missing something for not having an expensive bicycle. Your article has answered this question as a recreational rider. Thank you for the information. You are very welcome. I think a lot of us thought the more a bike cost the better the ride. I’m glad I was able to shed some light on the topic. One thing I do know is they all provide a great way to stay in shape while enjoying the moment. Thank you for visiting. Stop by anytime. Thanks Taleem, it is a fun and good thing to do. It is a pretty relaxing and frees your mind at times. I have been riding for a few years now and I’m noticing more riders every year. Even major cities are getting involved by supporting the cyclist with bike lanes and other things. I already use mine like a car because I use it for my transportation everywhere. Sometimes I have to mix it with the city bus if it is to far to ride in a certain amount of time. So you are right it is a great thing. Thanks for visiting and please visit again.